This is about lotion and toner recommended to oily type skin. I will try to keep this post short as it's very late but mentioning the important points. These are skin/toner/softener that I have been using for months. 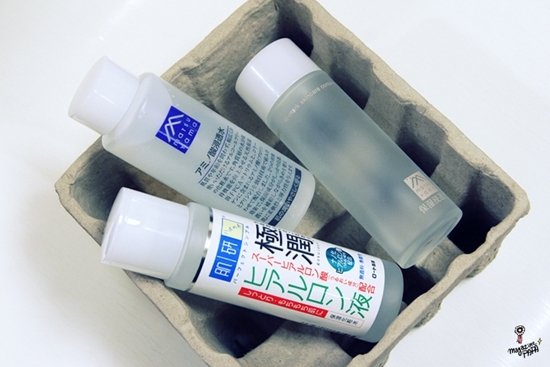 but bloggers kept requesting on skin lotion…and to do a short posting, I selected these. These are all Japanese products. Two are of Matsuyama. One is of Hada-Labo. Matsuyama doesn’t seem to roll out much marketing on on/off line. 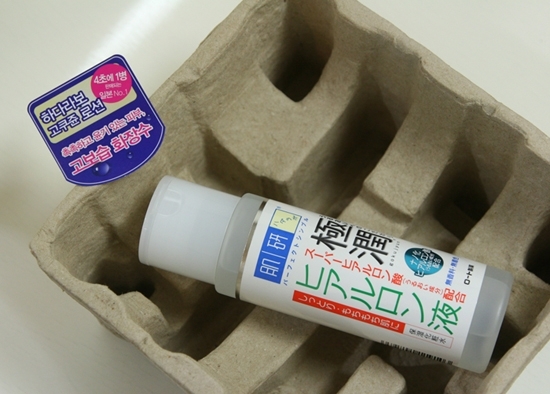 In case of Hada-Labo, it released products through Olive Young…so it rolled out broadscale marketing. It makes people know about Hada-Labo but not Matsuyama. What I’m trying to say is not boring ‘smooth skin’ which Japanese products talk about. It’s just skin lotion in my style. My ideal type of moisturizer. - One bottle for 4 seconds. I have heard about it for months. It was released long ago… I used it right after its release. It dragged a lot of postings after show case. If it had been that great, it might have sold one every 4, 8 or 12 seconds. But look at this quiet response. When poured on hand, I felt it sticky. The name is lotion…but it’s close to skin in Korean style. But, its thick formula is noticeable. It’s also sticky when on face. But it’s because the product itself is thick. It doesn’t make skin bouncy. I think it’s little silly to expect high-moisture...whitening, or wrinkle cares…from a skin lotion. So I don’t get the point in looking for those products or producing those. Before the arrival of this thick skin lotion, it was easy to find at department store or road shop. We’ve already used them before, haven’t we? You know, those don’t make our skin elastic. Relatively sticky formula only causes expectations of making far more watery skin. If one wants less tight and less stimulating skin lotion, she may check the substances it contains. The product itself has no special flaw…it means that substances seem fine. I think it’s an ordinary skin lotion. Not too big or too little… it’s perfect in size. I don’t feel high moisture from it. This sticky product never goes well with cotton ball for moisturizing. I like to wipe skin with it with facial cotton rather than applying without it. 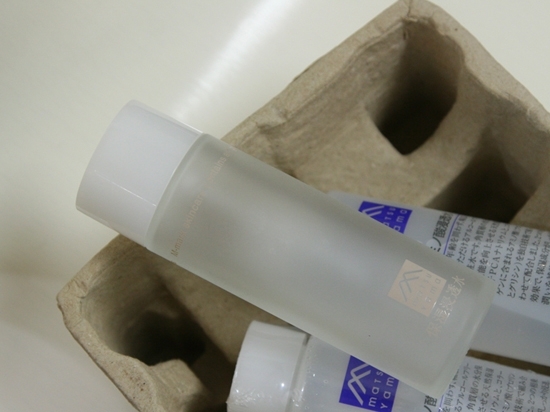 Because, it’s used as an item for finishing last cleansing after night wash, not to show some effect to skin. As you know, I always find ways how to clean softly and effectively. I found it necessary to wipe softly with cotton ball rather than to work hard to get high moisture. I’ve been washing my face in morning without cleansing foam. I just do a primary care to balance my skin with skin lotion with a cotton ball. In conclusion, I don’t like it in that it’s sticky and not a high-moisturizing one. It’s also expensive although it has ordinary substances. Just, it’s definitely not a stimulating product. Well, to me, it’s an only useful one among Hada-Labo products. Those are not that expensive but all of them contain at least one substance which I don’t recommend. It reads non-smell, non-color, non-alcohol but there are domestic products in a price of $ 8.47 with those features. 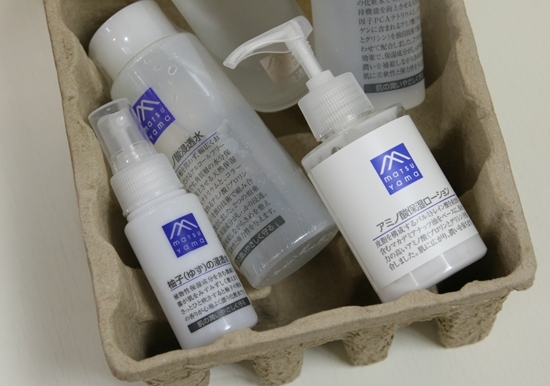 Almost all the Hada-Labo products contain paraben and triethanol amine. There’s nothing catches my eyes.. Well, if someone offers to give one, I’ll choose this one. 4 bottles? Maybe 5 bottles? I found it after surfing internet site for organic foods. This product listed all the substances contained. It seemed to be fundamental so I bought it right away. I experienced much out of it, including body products. First this skin is not a sticky one. It’s a water-like skin lotion. It doesn’t contain paraben, alcohol, pigment, or synthetic flavor. It’s pretty soft but has no special function. It’s good when used in large amount with cotton ball after washing face. It’s just perfect to wipe with a facial tissue after washing your face to organize your skin. Half of the ingredients are moisturizing components. But it’s perfect liquid type so can’t feel it so well. Even though half of the formula is moisturizing almost other components is water. There aren’t any effects but why did I keep buying this product that cost almost 30,000won and can’t feel the moisturizing effect? I didn’t feel any stimulation and it seems like telling me that I am very pure. I gave up on the functions already. so settled in Mitsuyama for the purity itself. I used this about 3 bottles and started to turn my eyes onto other products. The price was too expensive than the content so bought it to test it out what was so good about this product. Personally if I wanted a refund, they should have given me. They didn’t tell me the texture was so thick. It was heavier than water. 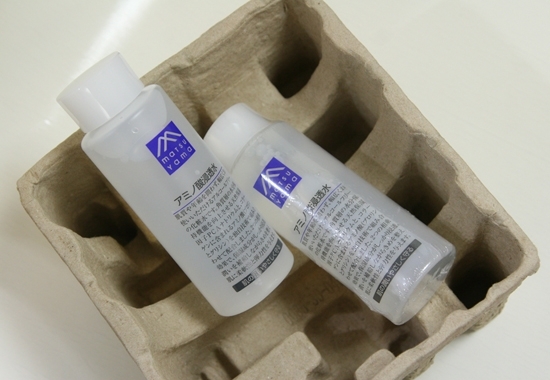 It takes time for the liquid to be absorb and also can’t feel the fresh feeling as like other toner. The product remains on the surface of the face and too slimy. I didn’t feel big special effect about this. I was seeking for difference in Dae du substance compare to amino acid but didn’t see any effects. I lost my interest over Dadu moisture line after I tried the toner. This is mist tonner type and bought to use as a mist. I was curious about on how it will work as a orange chimtusoo. However I ready experience the failed product from Dadu moisturizer so instead of buying as 180ml, but it in 50ml. I can smell orange flavor. It was pure mist without great effects. Definitely this isn’t cheap but pure compare to department products. However the tonner spreading out from the spray wasn’t too satisfying comparing to other mists. The container was just cheap plastic bottle. I don’t have in mind of repurchasing the product. I liked the cool and citron flavor but I will just use Uriage or Avene because of the inexpensive price. It's a pure moisturizer without special effects. The price might be expensive compare to the result of the product. However purity of the product it's a great positive part of the product. About half of the ingredients are not stimulating moisture substance. However I am not satisfied with effect of moisturizer on my face. During the summer time I really enjoyed using it because it wasn’t sticky but very light, giving no greasy surface. Yet it isn’t satisfying during cold weather. So I don’t recommend to dry type skin. I recommend to oily and middle oily type skin. Also not recommended during autumn and winter season only during spring and summer. However I really recommend to men who have oily skin for the four seasons. When men have hard time picking the cosmetics, this is great when you are looking for pure skin care. I use this only when I use oily makeup products or mix with facial oily. Other than that I don’t use it. Sorry for mentioning about Mac limited coloring edition suddenly while I talked about base make-ups. It has much composition so I put this to today’s posting. They were 3 different exclusive types. I bought The Swinging Violet Lets Mineralize Kit! I like the metal case that will be on my makeup table. 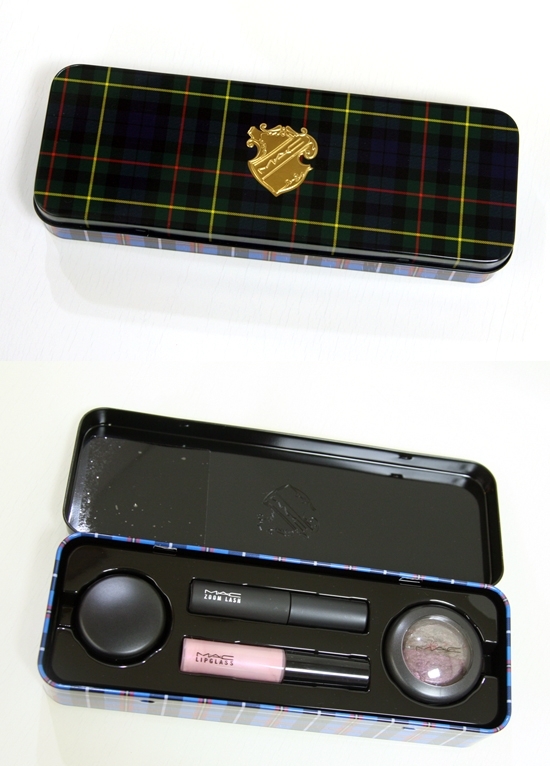 It contains paint pot, mascara, lip glass, and mineral eyeshadow. Bare study is usually used during the basic skin commercial as if the celebrities are trying to express moisture looking eyes. So it can be used along or for a cream type base or watery looking eyes. 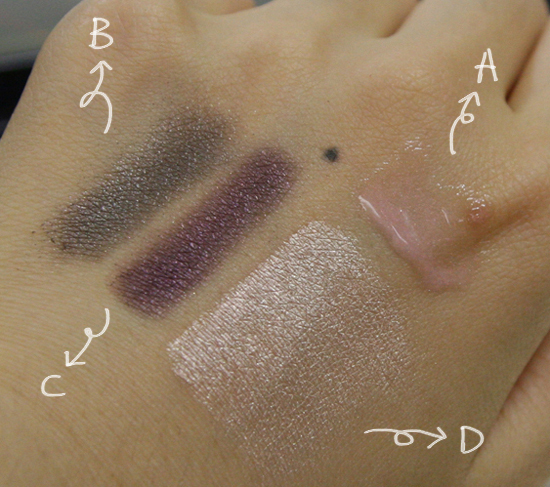 So this time, I purchase the eye shadow by looking at the color only. Also I usually go for lipstick instead of lip gloss however this one will go nicely with smoky eye makeup giving fuller and tone down lip. Revlon Cream Shadow #710 I mentioned on the later post. I said there’s nothing that can replace it. It’s all sold out and people keep requesting for it. If you can afford more expensive one, I recommend you products from Benefit or bobby Brown in color A,B,D from 4 colors. The color C is not available. There is none without glitter. Only using powder can give similar expression. It’s hard to express watery, though. Test Mac Soba or Bobby Brown Toast. Although Soba is a popular one there are people who don’t go well with the color due to skin tone. Soba goes well with little darker skin tone and Toast goes well with brighter skin. It’s best to try them both. When it comes to cream products, it’s hard to find non-glitter. It may be better to wait for new ones to release. Is it sold out in USA? I failed to do a short posting.